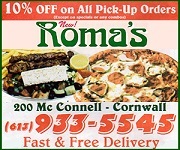 CORNWALL Ontario – You can’t make stuff like this up. You really can’t. Adam Brazeau seems to be a very confused young man? 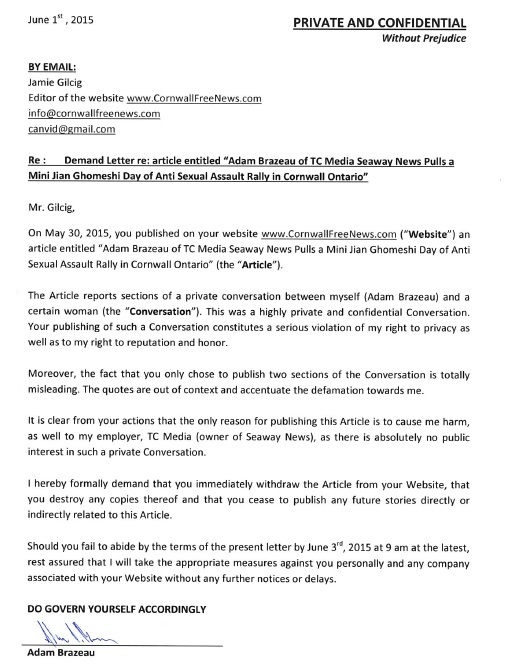 The journalist at the TC media owned Seaway News sent a legal letter to yours truly today after we outed his over the line behaviour to a former Journalism class mate hours before appearing at an event to support awareness of Sexual Assault and Abuse. When his victim rejected his coarse comment Mr. Brazeau typed “LOL” and then after hitting a question mark twice blocked the victim so that she couldn’t contact him any further. It almost looked like he was embarrassed and ran away. Instead of apologizing to his victim, even after she brought this story to CFN, he took to whining on facebook as though he himself were the victim. Mr. Brazeau was sent an email and facebook message offering him an opportunity to deny or respond prior to the publication of the story. He did not respond to either. Today his action was to send an email threatening what seems to clearly be legal action to yours truly. This was a highly private and confidential Conversation. It was a conversation that Mr. Brazeau’s victim chose to go public with and which we published because frankly sexual abuse, and assault, is a huge issue in this community. 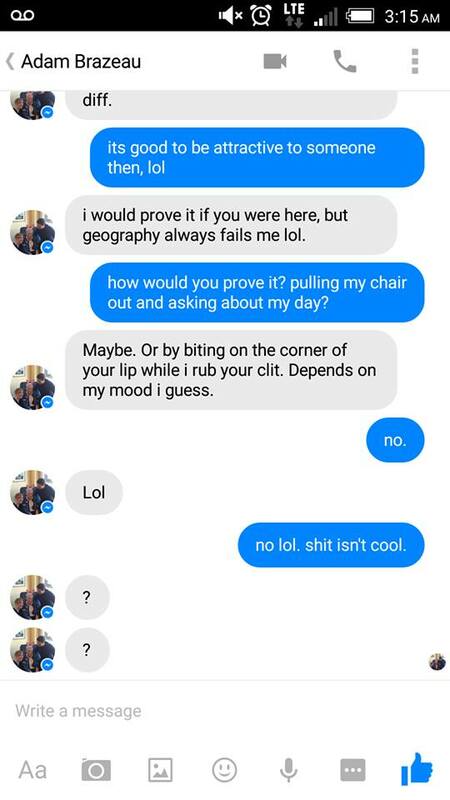 She supplied ten screen caps of their conversation and we published the ones that were relevant to his comment and the story. The letter was cc’d to his manager, Rick Shaver via the TC Media internal mail system. While Mr. Brazeau’s words were harsh, coarse, and ugly; those words said to a woman who may have already have been sexually assaulted could only amplify their volume. Today in discussion with the victim she said that she felt that she was being re-victimized again. She also confirmed that Mr. Brazeau had not contacted her since the incident to apologize or otherwise. CFN spoke with Angela Vinet of SASS, the group that the event was for, who said that she’d read the article and would distance herself from the story although she did send an email afterwords distancing herself from her distancing comment. Nearly 24 hours later she still has not responded to our request for an email statement. When CFN originally interviewed the victim we had asked her why she was choosing to stay anonymous and her answer was echoed in the comments of our original story and by comments seen by Mr. Brazeau’s friends and supporters. Is there any wonder why so few women step forward? He got his Mommy to write it. Scary. Methinks he protesteth too much! A letter sent “WITHOUT PREJUDICE” is probably without merit.